At Strategic Retirement Plans we work with each client to make sure all 5 areas of their financial plan are complete. However, many times when we begin working with new clients we find gaps in what they believe to be a complete plan. 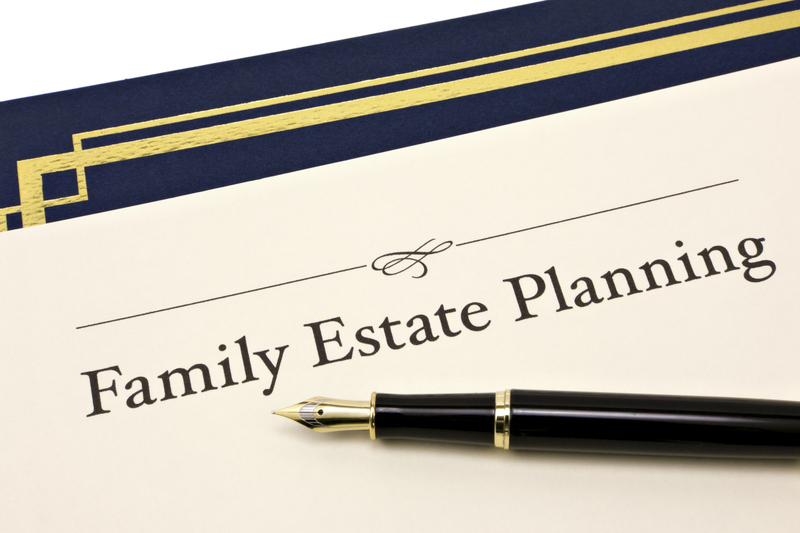 In these cases, one of the primary areas we find lacking is in estate planning. Today we want to talk about some of the 5 key mistakes clients make regarding their estate. Recognizing that they have an estate at all! Everyone has an estate, but there is a misconception that estates are only for the wealthy or elderly. This could not be further from the truth! It is not just for very wealthy people who have a lot of possessions to distribute. Estate plans can actually be more valuable to individuals of lesser means because their families cannot afford to lose out on the benefits that are left to them. Estate plans are also not just for elderly people. We never know when it will be our time to pass on and sometimes tragedies happen. Having an estate plan in place as a young adult can help make sure your wishes are observed in the event of an early death. People with children especially need to have a plan established so your wishes for your children will be clear and there will be no disagreements amongst family during a very difficult time. Failing to create a will or trust. An estate plan starts with either a will or a living trust. A will provides basic instructions for the distribution of your possessions, whereas a living trust provides a clearer path of ownership transfer and can avoid probate in many instances. While a living trust will be more expensive to set up, it allows you to maintain control even after you die. When a trust is established your possessions can be distributed over time based on conditions that will have to achieved long after your passing. A trust is managed by a trustee that ensures your wishes are honored in order for your family and loved ones to receive what you intended for them to have. A trust is especially helpful if there are minor children that need care until they are ready to receive an inheritance. A trust is also imperative in the instance when you have a loved one with special needs that will require lifetime care. Whether you have a will or a more detailed living trust, the key is having a legally binding document to ensure your wishes are respected when it is time. Understanding what probate could mean for your estate. Probate is the legal process of executing the will of a deceased person. Unfortunately, the probate process can lead to extensive legal fees to complete, thus deducting from the assets your family or loved ones will receive. Some items that are jointly-owned or accounts that name a beneficiary can possibly avoid probate, but depending on the state you reside in, it is not a certainty. One of the primary benefits of a living trust is its ability to help prevent probate and more effectively transfer ownership after one’s passing. Ultimately, probate will reduce the amount your family or loved ones receive and can delay the timeliness of the transfer. Depending on the state to settle your estate. Aside from financial headaches probate can cause, your state’s probate process most likely will not benefit your family as you would like. If you pass away without an estate plan your assets will be distributed according to the probate laws in your state. That means the state will decide how much your spouse or children receive and with legal fees, it could only be a fraction of what they need to live on. If both parents die (in a car accident for example), the court will appoint a guardian for your children without knowing whom you would prefer to raise your children. Wouldn’t you prefer that such important things like the care of your family or who raises your children be based on your wishes? Wouldn’t you prefer to control who receives what and when? Waiting to create an estate plan. No one likes to consider their own mortality, but the fact is we never know when our time will come. Waiting can be the worst mistake a person makes regarding their estate plan. All these mistakes mentioned above can be avoided simply by taking action today to make sure your estate is planned for when your time comes. Whether you start with a simple will or develop a complex living trust, don’t wait any longer to secure this important area of your financial plan and help the family and loved ones you leave behind. The advisors at Strategic Retirement Plans strive to help all their clients have a well thought out estate plan that ensures their wishes are followed and their families are cared for when a client passes. We will also help you connect with an attorney when there are more complex issues required. Don’t wait for someone else to decide what will happen to your estate. One of the most considerate things you can do for your family and loves ones is to start the process of developing peace of mind in this part of your financial plan.